Thoughtful Thursday is here again and what better subject to talk about today than the overwhelming deluge of gratitude that has flooded my Facebook wall these last 5 days? And it was all thanks to the Positive Challenge. Well, it’s pretty simple. Last Friday, my very good friend, Vidya Sury, tagged me on Facebook to list three things that I was grateful for on that particular day. She mentioned that it was a 5-day challenge and that I would need to list three things on each day. The very next day, I was tagged by Aditi Kausiva too! I never realised the sheer power of that simple task! It was with all gusto that I started out with the challenge and it is amazing how much goodness I could see, if I chose to do so. Even in the midst of a seeming catastrophe, the fact that there is a good side to everything, kept firing me up to maintain the challenge! What made it even more fun was the idea of tagging three people at the end of each day’s update, to carry the torch of Gratitude forward. Fabulous idea! It brought so many good things tumbling out of friends’ minds. It flooded my wall with posts of happiness. It filled my soul with the warmth of reading each person’s list and counting my blessings that they have all touched my life in one way or another! Here, in quick recap ( and one single place) are my 5 updates with 15 things that I was grateful for. 1/ My job, which makes me feel wonderful and the fact that in some small way, I am able to contribute to the education of children. 2/ The weather, which always reminds me why I love living in this city! 1/ My extended family whom I met today,with whom time spent is never time wasted. So much love, warmth and happiness that my heart overflows with gratitude when I think of them. 2/ My mother-in-law, who is quite possibly one of the happiest souls on earth! Everyday, I thank God for adding her to my life. A cooler, smarter, more wonderful in-law you won’t find, I guarantee it! 3/ The Indian saree Yes, it always was and will be my favourite attire. The comfort and grace it provides, I find in nothing else. 1/ Walking in my apartment complex this evening as I watched my daughter play dodgeball with kids, getting down and sandy in the community park. As I grow (and so does she), I have learnt to let go of the little niggling issues like sand in one’s shoe, muddy feet and dirtied clothes. Instead, I now look at the flushed cheeks, the sweat that comes from an hour of carefree playing and the smiles that emerge after rolling around in the sand. 2/ My day off from work. After a hectic weekend, which was also loads of fun, I could really use the break and catch up on some blogging and reading after nearly 10 days! 3/ A note from my daughter’s school that covered a series of points on safety concerns, which also included reference to a session which will be conducted on CSA by a reputed organisation. 1) My variety of support groups on Facebook/ Whatsapp: The blogger group, the parenting group, the fitness group, my alumni group, my spiritual group. My life is a medley of all of the above and I wouldn’t have it any other way! 3/ My daughter’s face this afternoon when she came home from school and proudly told me how she had brought home all her homework books and an extra book as well, thanks to a Post-It note I had stuck on her diary. 1) Despite the fact that my phone blanked out and refused to turn on this morning I was grateful for the fact that there was a spare phone lying around which I could quickly use. 3) This entire exercise of looking for the 3 positive things each day. Without it, I would have lost my cool this morning when the phone conked out, I would have yelled my head off at my daughter and I would have had a headache. Instead, I sit here, typing out my gratitude. This is the kind of thing I should do everyday. Technically, the challenge was done, but since Rekha tagged me for Day 6, here are my three reasons to be thankful. 2. Having a daughter who insists on my waving to her continuously until the bus leaves my sight is so endearing! 3. 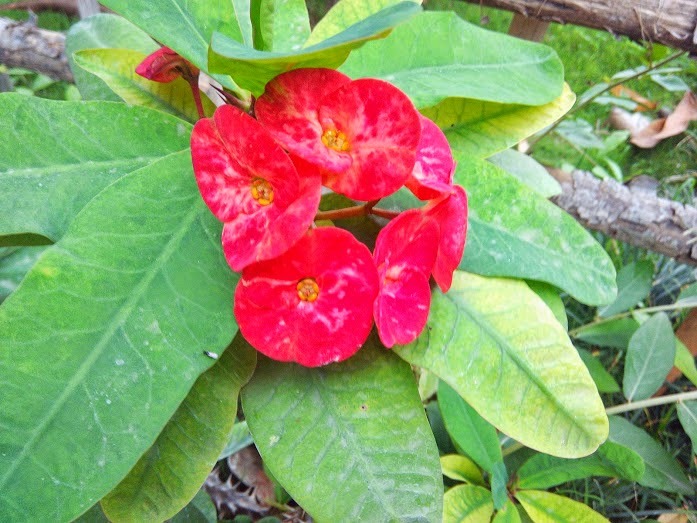 This red flower growing in my apartment always makes me smile! Guess what! I aim to keep this going. 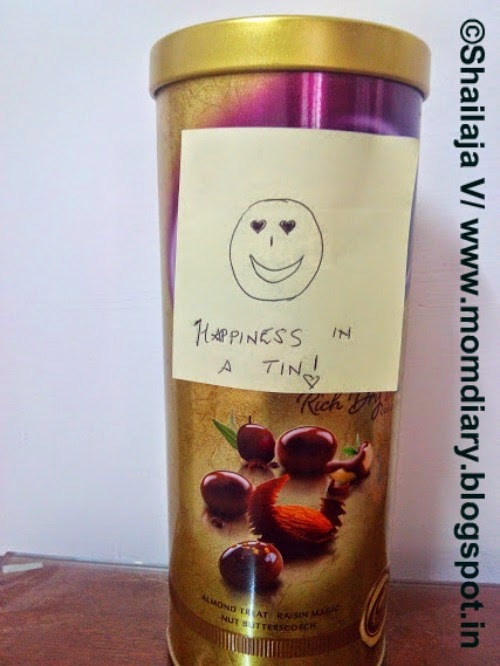 Inspired by Vidya Sury and her Happiness Jar, I just made my own Happiness Tin! It’s an old chocolate tin and you KNOW that chocolate can make us happy! Oh yes! It sits happily perched on my daughter’s table. When I feel that gratitude coming my way, off it goes into the tin, preserved there for me to read on a day when the clouds seem darker and the sun doesn’t want to come out and smile at me. So, the smiley is a bit crooked and my handwriting is a bit crooked (okay, very crooked), but that’s what life is about, right? We look for the happiness in Life, even if it is flawed or bent out of shape. Did you write a Gratitude Post today? Then, you’re in luck. Head over to Laurel’s page and link it to the Gratitude Linky which is open for the next 10 days 🙂 Share the love, spread the word! Such a lovely joyous post! Gratitude is what should make the world go round! I do maintain a gratitude journal but what I loved about this positive challenge was the tagging part! Share and grow happy n healthy together! 🙂 Absolutely loved the idea of happiness tin! What fun it is, no? I am so glad I made a difference for you! You know why my happiness jar is transparent? 🙂 Because just seeing it fill up brings a sense of happiness without even looking at what's in the slips of paper – although that in itself is another wonderful experience. We enjoy loads of laughter in our house when we sit with the pile and pick out random chits and read them. This will be a great exercise for your daughter, too, in terms of a positive attitude development. Nice list Shailaja. I'm on day 3. Seeing gratitude in all we do is a blessing. Thank you so much, Aditi! For reading, for sharing, for tagging and for commenting 🙂 Yes, the shared happiness always multiplies. Such a lovely paradox! Ah that is another lovely challenge, Swathi, the 100 happy days one! I especially like the myriad pictures that come up with that challenge 🙂 I have that on my to-do list! Vidya, it is a pleasure to hear that from you each time you say it 🙂 Somehow my heart never tires of that compliment. Very glad you joined this challenge too! It definitely makes a difference, Suzy! I see the day itself differently now , thanks to the gratitude challenge! A post frm d heart! And yes, daughters are a blessing for all moms. 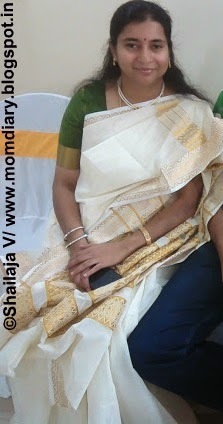 Nice thoughts shailaja! Indeed Vishal. It is very uplifting and so wonderful to complete this exercise! Awww, thanks Shalini. So glad you liked the post! Indeed, Vaishnavi! Kids are really blessings, especially when you are down and out for the day. Thank you for stopping by and reading the post. Much appreciated! Your daughter is an angel! 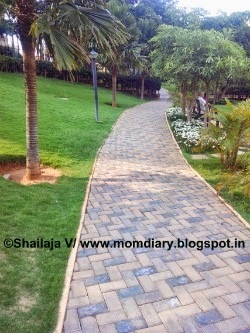 A lovely warm post Shailaja and I love the idea. Off to find a box now. It does fill up our hearts when we read it again. Thanks Pixie!